Since our launch of the TIBCO DataSynapse GridServer Engine image in the Azure Marketplace back in August, we have continued to pursue feature updates that improve the integration and experience of scheduling jobs and tasks into Azure. With the increased regulatory requirements of the Fundamental Review of the Trade Book (FRTB), having the ability to burst into Azure for the use of additional compute capacity is a hot topic within the Financial Services industry. This week, TIBCO DataSynapse released the High Performance Cloud Computing Adapter (HPCCA) to extend the functionality of GridServer 6.2.0 and enable customers to temporarily increase their compute capacity in the cloud. The hybrid burst scenario takes a step forward with the ability to dynamically create and provision both Linux and Windows VMs directly into Azure. 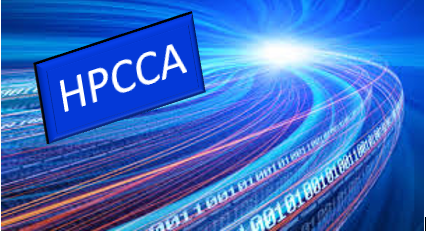 By implementing HPCCA as a Manager Hook into the Broker, it is able to review Broker events and take the right course of action through a simple cloud management algorithm. Based on the number of events experienced, a formula predicts the number of VMs required and a customer created image is initiated. HPCCA can configure the current deployment and remote-start the Engine Daemons ready to process these events. HPCCA also has the ability to shut down the Engine Daemons as soon as the events begin to decrease. By utilizing the same set of Azure APIs, the Engine idle time following event execution triggers this action. If you would like to hear more about this and you based in the New York City area, please join us Wednesday, April 19th at the Microsoft office to view a demonstration. Register now for the TIBCO and Microsoft Azure Workshop! TIBCO DataSynapse GridServer is a service execution platform for dynamically scaling any application at any time across grid infrastructure. Due to its improvement in productivity, performance and uptime it is used heavily within Financial Services for parallel computing certain risk applications.